Determined to expose Dean Berg's dream mining operation to the world, and desperate to find her suddenly missing family, Rosie follows a series of clues across the country, where she discovers an abandoned, horror-themed amusement park hiding a labyrinth of tunnels beneath its grounds. There, Rosie uncovers the vault, where her sister sleeps among the dreamers she is determined to set free. Meanwhile, nefarious subliminal messaging embedded within the Forge Show poses a danger to all who watch. And Rosie discovers the terrifying implications of mining and unlocking the consciousness of countless victims. 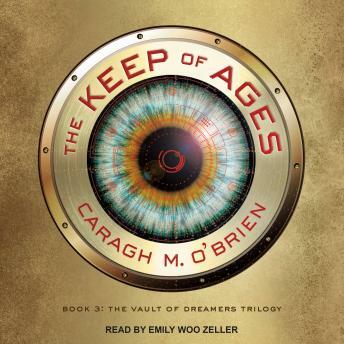 Propulsive and deeply speculative, The Keep of Ages concludes the Vault of Dreamers trilogy by taking listeners on a wild and satisfying ride.